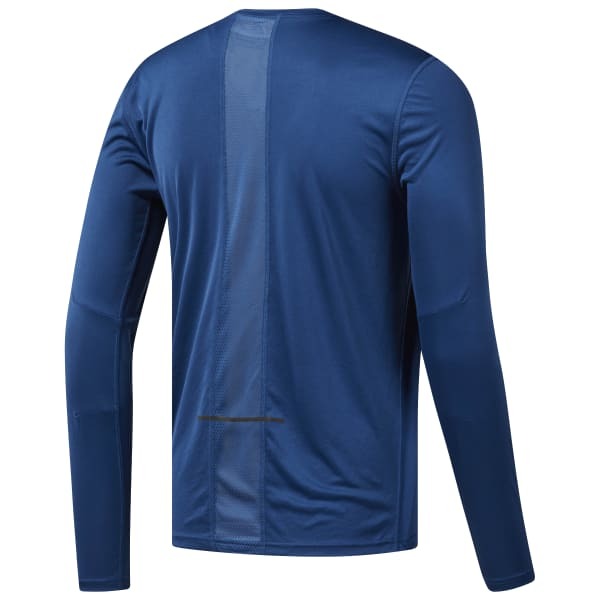 On track and ready to run, our men's long sleeve running tee with Speedwick technology is designed to keep up with repeats and long runs. A mesh panel down the back helps vent heat and increase airflow. Hits of reflectivity make this T-shirt a clear choice for headlamp-lit miles.